I’m a Food Network fan. I enjoy cooking (eating especially) so naturally I enjoy watching television programs that revolve around food. I've learned a great deal and been entertained by many programs. Most notably, I have become a fan of Food Network Star. I enjoyed the contestants, but more so was struck by an underlying psychology of business I saw in the mentors of each contestant. If you’re not familiar with the show, the basic premise is 3 Food Network celebrities pick teams of chefs and through a season of challenges and such end up choosing the final person they think can be the next Food Network Star. These groups of people are selected and split into teams, who are then mentored. 2 mentors/coaches interested me the most in how different their approaches were in tracking down the next star. The difference in how they went about things ultimately interested me and kept me watching until there was a new Food Network Star crowned at the end of the season. In the beginning of the show they were interviewing the mentors and asking what they were looking for as they picked their teams. One coach said that he was looking for good cooks, as long as they could cook, he could teach them how to do television. In stark contrast another coach said he was looking for big personalities first and that he could teach them how to cook. This can be reduced to a simple paradox, experience versus potential. One coach wanted experience and skill in cooking and thought he could teach them how to have a personality on television while the other looked more for the intangible (call it personality or potential) knowing he could teach a skill. The ultimate difference in approach here is that there is some intangible, call it personality, potential, or an x-factor. 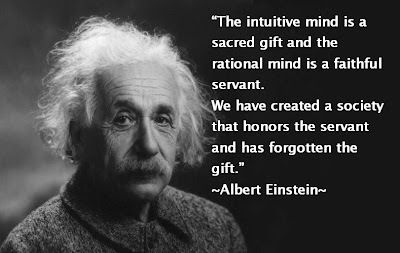 The question is, can this intangible be materialized or learned? Is it better to go with a resume that is impressive and has all the experience and skills you desire while being possessed by a person that lacks an intangible or look for intangibles knowing that one can learn and most are teachable? I suppose to answer that question one would need to decide on the philosophy of work they have. One philosophy is the old hard-nosed work ethic that says work isn't supposed to be fun or fulfilling, but should just be done. This philosophy produces mediocrity and discourages strengths and intuitive thought process. The other philosophy is that we are each born with something we have natural abilities and skills to do, we possess a certain potential, and it is our role to find an avenue to express this in, when we find that work is fun and meaningful. One philosophy promotes molding the subject to the process while the other promotes finding the process that best fits the subject. Again, these are very different approaches and dictate how you behave. I’m a potential philosophy guy. I believe it is better to seek out to find intangibles you’d like in an employee over seeking the experience and hope to teach the intangibles. I think personality and potential cannot be taught, I think they are natural rhythms which we operate within. When we find the beat of our drum we thrive. The truth of consumerism is that it is emotional more so than it is logical. If a business can somehow appeal to a consumer’s emotions then they have a sell. Truly, it’s all about how you make the consumer feel. Logic is a great thing, but ultimately even super educational type marketing attempts in any business make the customer feel something, maybe that something is assured. Emotions play a very high role in consumerism so it would make sense that you would want to make hires based on what they can offer or how they can complement the emotional connection to whatever product or service a company is selling. You won’t hire an accountant to sell cars because although they may be the best on advising about value and financing they don’t have the personality to make an emotional connection to sell a product. Naturally I have an emotional tie to this subject because I am experiencing the tension between experience and potential and the on-going struggle between their values. So what’s your philosophy? Do you value experience or potential/personality/intangibles more? It doesn't always have to be either or, but we do have a bent left or right of the center. I had a professor once say we are pendulum people, meaning we constantly swing from side to side in how we view the world and thus behave. It is rare to see and experience total moderation; we are always swinging or leaning to one side or another. What do you think the world would look like if we made decisions based more on the intangibles than experience? 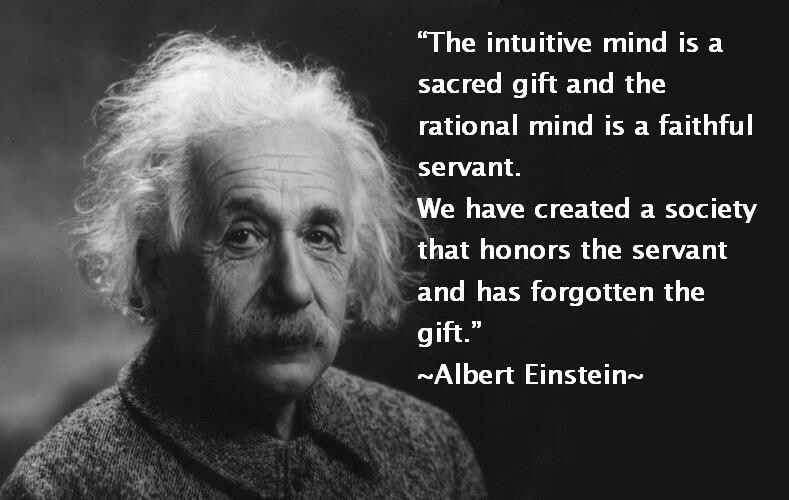 I’m a fan of what our old friend Albert had to say though (check out the picture/quote above).